Are there enough eligible patients to support my study? Find out using Dartmouth i2b2! SYNERGY Clinical and Translational Science Institute will provide an i2b2 101 Workshop this Friday, April 26 from 9:00 to 10:00 AM in Auditorium A-B at DHMC (includes light breakfast). In this hands-on workshop on i2b2, participants will learn how to do basic queries, subject concepts, and more. The workshop is part of the SYNERGY Spring Research Informatics Workshop Series. Click here to register or click here to see the full schedule of workshops. Read article – A feature story about Auriel August, Geisel ’17, a Stanford general surgery resident who started the Twitter account @blackgrlsurgeon to encourage diversity in medicine and serve as a role model for other aspiring black female surgeons. 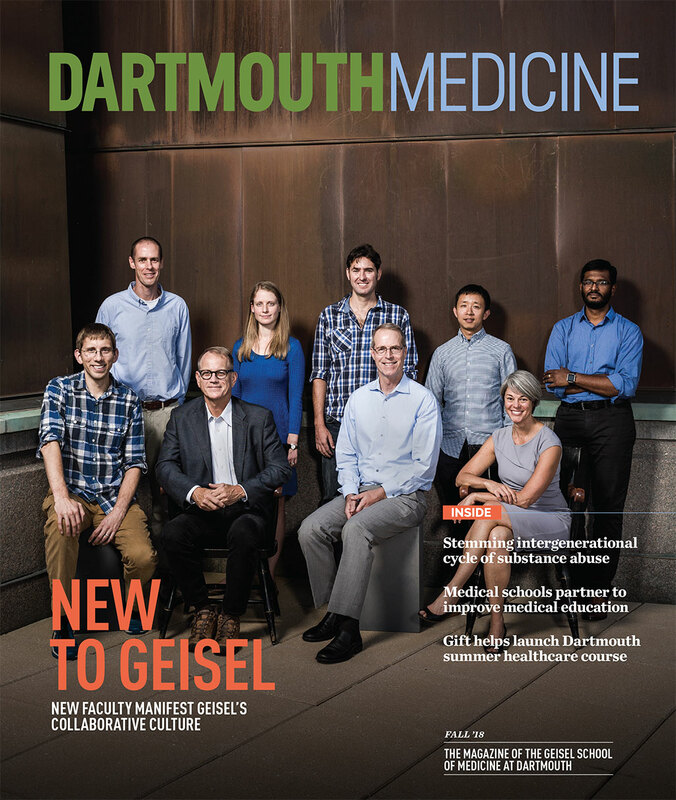 The article mentions that as a Dartmouth medical student, August spent the summer of 2014 working in a hospital in Dar es Salaam, Tanzania, which inspired her to also dedicate part of her time to addressing health disparities abroad. Read article – Features an interview with Christopher Sharp, Geisel ’98, the chief medical information officer (CMIO) of Stanford Health Care, in which he offers advice for aspiring CMIOs and discusses how iterative innovation can improve healthcare. Read article – Cites research conducted by Elijah Stommel, professor of neurology, that found that people living near bodies of water with heavy blue-green algae blooms had a 15 times greater chance of getting amyotrophic lateral sclerosis (ALS). Read article – Quotes Robert Drake, the Andrew Thomson, Jr., 1946 Professor and professor of The Dartmouth Institute for Health Policy and Clinical Practice and community and family medicine, in an article remembering the life of White River Junction, Vt., resident John Caswell, who battled alcoholism, mental illness, and homelessness before his death in April 2017. With Drake’s help, Caswell got sober in his 30s and earned his GED and an associate degree in human services counseling. Read article – An article about how a New Hampshire Senate bill seeking to increase funding and staff for the Division for Children, Youth, and Families won the unanimous backing of the department’s oversight board mentions that Jenn Alford-Teaster, a geospatial research project director in the department of biomedical science, made DYCF funding a central component of her unsuccessful state senator bid last November. Read article – Continued coverage of comments by James Bernat, active emeritus professor of neurology and medicine, on how a team of scientists at Yale reported they were able to restore some of the molecular and cellular functions in the brains of recently deceased pigs. Bernat was not involved in the study.